With fall comes Autumn leaves, back to school and (in some people’s opinions) the most important time of the year — football season! For kids who just can’t get enough of football, check out these 10 books about football for middle school readers. They will surely spark your kid’s incentive to get reading. You can find these books about football for middle school readers at your local library or purchase through the affiliate links provided for your convenience. Football Genius : Troy White can predict any football play before it happens. And when his single mom gets a job with the Atlanta Falcons, Troy knows it’s his big chance to help them out of their slump—and finally prove his football genius. But unless Troy can convince star linebacker Seth Halloway that he’s telling the truth, the Falcons’ championship—and Troy’s mom’s job—are in serious jeopardy. Eyewitness: Football (Eyewitness Books) : Discover the world of pro football; the history, the teams, the stars, and what equipment they use. Developed in association with the National Football League (NFL), Eyewitness Football features photographs and text on hundreds of people and objects from 80 storied years of the National Football League. Football captures the drama, excitement, and spectacle of professional football using the signature Eyewitness style. It is the definitive pictorial guide to America’s most popular sport in all its rough-and-tumble glory, from its schoolyard roots through its rise to the status of an international supersport. Wild Card (Barber Game Time Books) : The eighth-grade season couldn’t be going better for the Barbers’ team, the Hidden Valley Egales. Everything is off to a strong start—until one of the key players on the team is benched for academic probation. Without good grades there is no playing time. No exceptions. Ever. Will the team’s hopes for the season be demolished, or can they find a way to help their teammate get his grades up? Fortunately for the Barber brothers, it turns out that the team that plays together can study together too. Go Long! (Barber Game Time Books) : Tiki and Ronde were the stars of their Pee Wee football team, the Cave Springs Vikings. But middle school is much bigger than elementary school and it’s a whole different game—on and off the field. When Coach Spangler takes a job coaching for the high school team and Tiki’s old science teacher Mr. Wheeler is tapped for the middle school coaching job, the beginning of the school year and the football season is off to a bumpy start. But through working together, the boys discover that the whole team is bigger than any of its parts. Touchdown Trouble (Fred Bowen Sports Story Series) : Sam loves football. Most of all he loves the feeling he gets when his team, the Cowboys, are working together-moving closer and closer to the end zone. But Sam’s pride in his team begins to fade. In an important game, the Cowboys beat the Giants to remain undefeated, thanks to a touchdown by Sam in the final play of the game. But later, watching a video of the game, Sam and his teammates realize that the winning touchdown was scored illegally. The Giants should have won the game. Now the team is divided. Should they keep quiet or give the Giants the win? Gym Candy : Mick Johnson is determined not to make the same mistakes his father, a failed football hero, made. But after being tackled just short of the end zone in a big game, Mick begins using “gym candy,” or steroids. His performances become record-breaking, but the side effects are terrible: Mick suffers ’roid rage, depression, and body acne. Gym Candy’s subject matter is just as hard-hitting as its football scenes. You’ll find yourself unable to look away as Mick goes down a road that even he knows is the wrong one to travel. 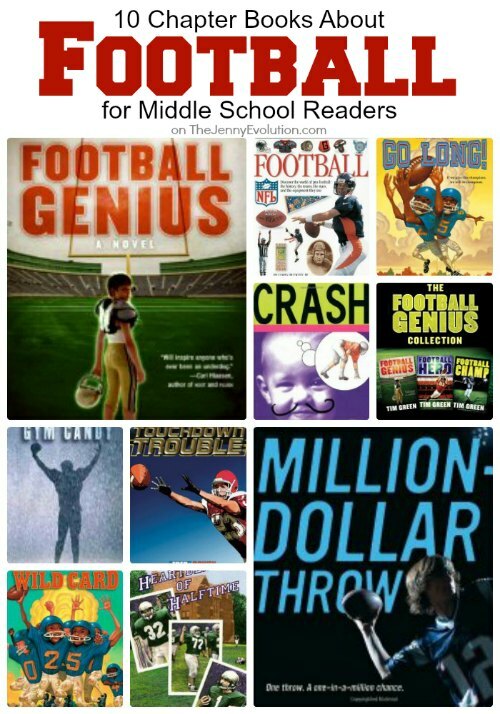 The Football Genius Collection: Football Champ, Football Genius, Football Hero : The thrilling Football Genius books—by former pro football player Tim Green—are perfect for middle-grade readers, and this collection contains three bestselling novels in the series. Million-Dollar Throw : Everyone calls Nate Brodie “Brady” because he’s a New England quarterback, just like his idol, Tom Brady. And now he’s got a chance to win a million dollars by throwing one pass through a target at halftime in the Patriots’ Thanksgiving night game. More than anything, Nate’s family needs the money — his dad’s been downsized, his mom’s working two jobs, and they’re on the verge of losing their house. The worry is more weight than a 13-year-old can bear, and it’s affecting his playing for his own football team. Suddenly the boy with the golden arm is having trouble completing a pass . . . but can he make the one that really counts? Jake Maddox: Gridiron Bully (Jake Maddox Sports Stories) : Juan was a track star at his old school, so he’s not sure what to expect when he’s asked to join the football team in his new town. Right away, Juan thinks he’s made the wrong choice. He can’t catch, he can’t throw, and one of the members of the team hasn’t been making it easy for Juan to feel at home. Can the ex-track star learn his new sport in time for the biggest game of the season? Crash : Spinelli takes the brawny, bullying jock who is the villain in so many middle-grade novels and casts him as the narrator of this agile tale. Ever since first grade “Crash” Coogan has been tormenting dweeby Penn Ward, a skinny vegetarian Quaker boy who lives in a tiny former garage with his aged parents. Now that they’re in seventh grade, “chippy chirpy perky” Penn becomes an even better target: not only does Penn still wear outdated used clothes, he joins the cheerleading squad. But even though Crash becomes the school’s star football player and wears the most expensive togs from the mall, he still can’t get what Penn has?his parents’ attention and the admiration of the most gorgeous girl in school. And when his beloved grandfather Scooter is severely disabled by a stroke, Crash no longer sees the fun in playing brutal pranks and begins to realize that there are more important things in life than wearing new sneaks and being a sports star. The Heartbeat of Halftime : Thirteen-year-old Wing is sick of losing. The Mighty Titans haven’t won a football game in ages, and Fat Ed, the school bully, doesn’t look like he’s going to stop dumping on Wing and his friends anytime soon. But above all else, Wing just can’t understand why the man who taught him everything about football, his father, is no longer there for him. As Wing struggles to accept his father’s impending death from cancer, and his team fights its way to a division championship, Wing comes to realize that winning can simply mean holding on to what you already have. Like these books about football? Find even more engaging book lists for kids with more than 100 book-themed reading lists! My boys do love a good football book, and they are big fans of anything written by Tim Green or Mike Lupica. I don’t think they have read any books by then Barber brothers, but I know their friends enjoy those ones as well. Great list once again! 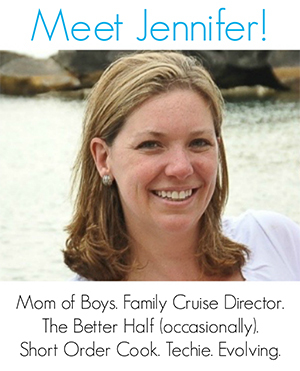 I would add Gordon Korman’s, Pop! This is a good list, and I was lucky enough to review Gym Candy.